... doesn't mean they can prove it. STILLWATER, Oklahoma - For the first time, the public is seeing video from the moment a Stillwater bail bondsman shot and killed one of her clients in 2017. Chasity Carey was just acquitted of murder last week, and her defense attorney explains why the video helped her walk free. Jarrod Stevenson’s motto “Just because you did it, doesn’t mean they can prove it” is especially fitting in this case, because he said the state did not even charge the bondsman with the right crime. Click here to read more about this story. If the legislature doesn't act soon to replace $75 million in lost revenue to the Department of Mental Health and Substance Abuse, the agency says it will cut all outpatient services. Among those cuts would be elimination of the Oklahoma Drug Court. The program has been around since 1995 and provides treatment for those convicted of drug possession instead of incarceration. We are honored to be featured in the 2017 Oklahoma edition of Super Lawyers magazine! We worked hard for this, and we are working just as hard on every case we take. 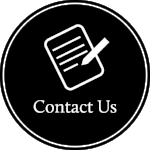 Get in touch with us if you need a criminal defense attorney - we'll work hard for you! Click the cover to read this new edition online. Stevenson Law Firm, PLLC, offers competitive rates, payment plans and a FREE initial consultation. We accept cash, check, money orders and credit cards. If none of our payment plans and options work for you, call us – we may be able to make other arrangements to help you in your time of need. Do not let a lack of money be the reason that you settle for a less qualified attorney. CALL US TODAY! Call today for a free consultation or case review!